Halloween has come and gone, and holiday shopping is on everyone’s minds. In the fall and the spring, we’re known for our world-famous antiques show. But Round Top is a year-round destination for all kinds of undiscovered treasures and experiences. We’re proud of our small-town traditions and work hard to make them come alive each year – and 2018 is no exception. If you’re looking for holiday gifts you can’t find anywhere else, then you’ve come to the right place. Our town is chock-full of local artists and artisans who can’t wait to share their crafts with you. 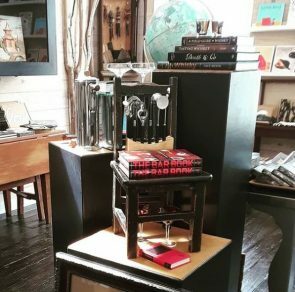 Look no further than our very own Rummel Square, where lovers of handcrafted jewelry will enjoy browsing the shelves of Lark, discovering both modern and vintage treasures to take home with them. 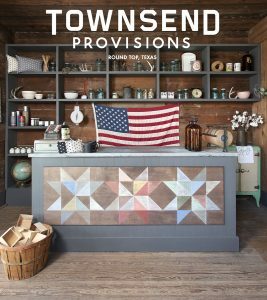 Nearby, Townsend Provisions is the slice of old-school Americana you didn’t know you were nostalgic for – their selection of unique antiques and vintage home goods will have you thinking about the good old days. And if that isn’t enough for you, their t-shirt selection makes it all too easy to sport your Round Top pride. If you’re looking to cozy up your home for the holiday season, The Silver Barn in Henkel Square boasts one-of-a-kind décor items with a touch of Southern charm. For those who love giving the gift of self-care, nearby Indian Creek is a unique gift store that features hand-poured scented candles and their very own “Creekside Spa” bath and body line. If you know Round Top, you know there’s something for everyone here – lovers of both art and antiques alike will find themselves right at home holiday gift shopping at Humble Donkey Studio, where they can purchase original pieces by artist John Lowery and eclectic antiques from Lower40 Found Objects. Bybee Square is also buzzing with holiday cheer. Wild Women Wise Women is the place to shop for the women in your life, with trendy apparel, artisan jewelry, and locally-made lavender products. 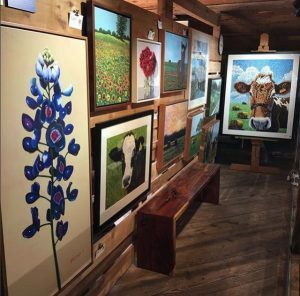 The Gallery at Round Top is yet another art-lover’s haven, where you’ll discover paintings, sculptures, pottery and handmade gift items. While we all enjoy gift-giving, the spirit of Round Top is rooted in bringing people together. We’re looking forward to December and our annual Round Top Lighted Christmas Parade & Street Dance – a magical wintry day packed with festivities that are fun for the whole family. Visits with Santa, a Christmas market in the town square, live music and more – and what better way to kick off the holiday season than with an old-time parade featuring vintage cars, lighted floats and the occasional farm animal? 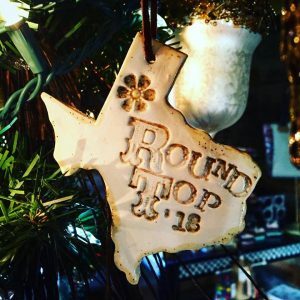 Tell your friends, bring your family and make Round Top your home for the holidays.